We have over 90 photos of the Good Smile Company display at Toy Fair 2019. Near the end of the gallery, there are some shots of good smile’s display at the Diamond Previews booth as well. There’s a mix of anime, Aliens, Predator, Overwatch, Dark Souls, Marvel, Disney and more here. 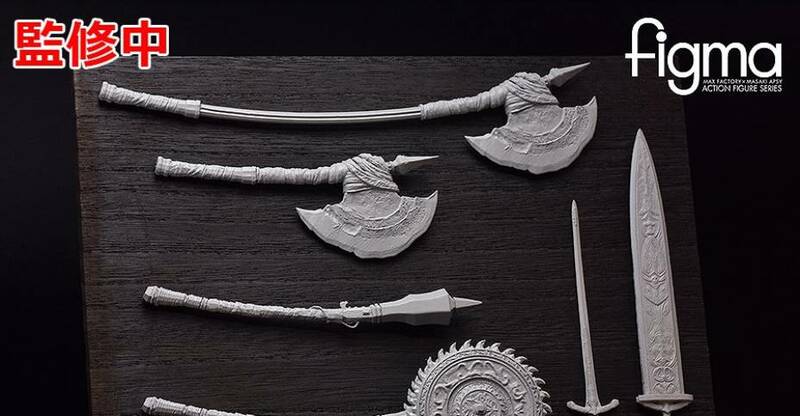 With Winter Wonder Fest 2019 taking place this weekend in Japan, Good Smile Company has shared a few of their new Bloodborne items. 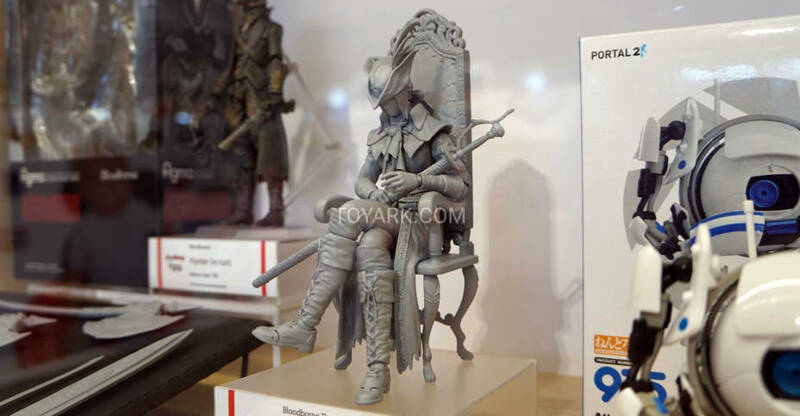 The new reveals include a Weapons Set for The Hunter Figma, as well as a Figma version of Lady Maria of the Astral Clocktower from Bloodborne: The Old Hunters. Official details to be released at a later date. Good Smile has a full list of their reveals for WF 2019, most of which we don’t cover here. But if you want to see everything, check it out Here. One of Overwatch’s most popular characters is getting the action figure treatment from Good Smile Company. they have shared photos and full details for the upcoming Figma Overwatch Mercy figure. Standing just over 6″ tall, Mercy includestwo swap out faces, multiple interchangeable hands, a Caduceus Staff, a Caduceus Blaster, removable wing effects, and an articulated figure stand. Pre-orders have begun to go live. 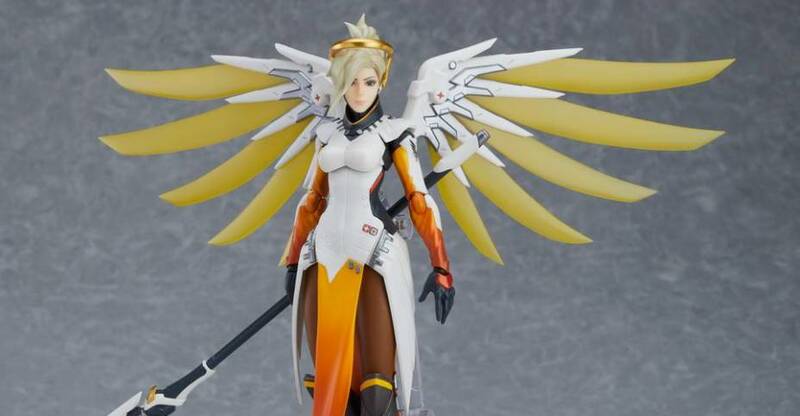 Mercy is priced at 8,800 Yen for her Japanese release (about $80), but could be lower priced at some retailers. The figure is scheduled for release in December. Check out the new images and info after the jump. One of the pillars of the original video game boom of late the 1970’s was Space Invaders. The simple premise sees players control a laser cannon that can move left and right, defending against a large group of alien creatures slowly march down the screen. As the game progresses, the creatures move faster. The game spawned numerous spin offs, clones and knock offs and has been ported to just about anything that can play video games. 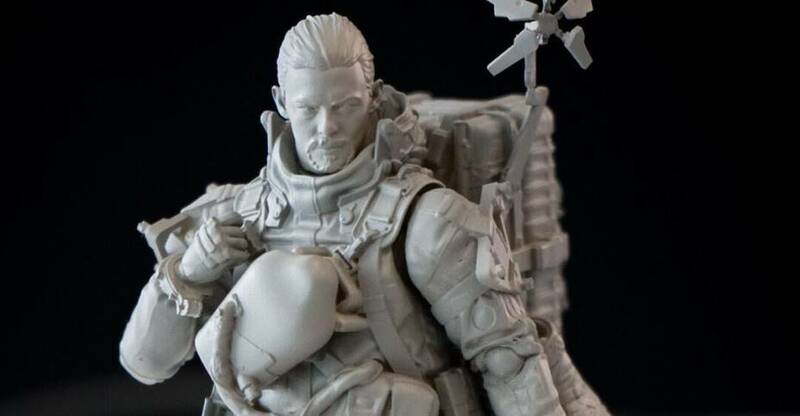 Now, after over 40 years, the first collectible action figure from the game is being produced. 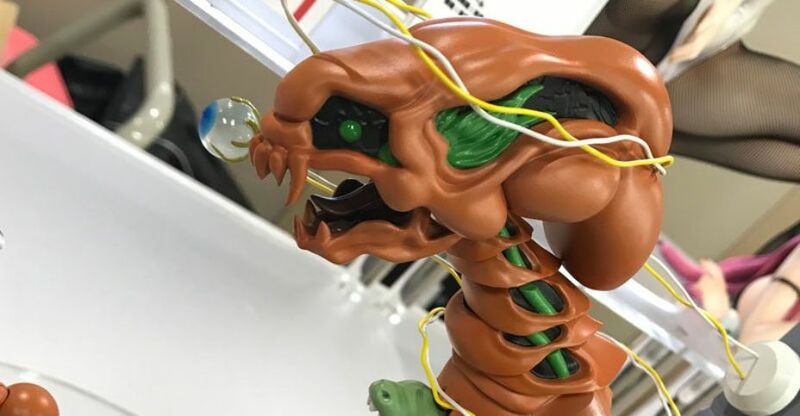 Taito, publishers of the original game, have shared photos of a prototype for a Figma Space Invaders Monster action figure being produced by Good Smile Company. The figure is actually based on the artwork from the sides of the classic arcade cabinet. We will update when further details are released. You can see the photos by clicking the headline of the story. 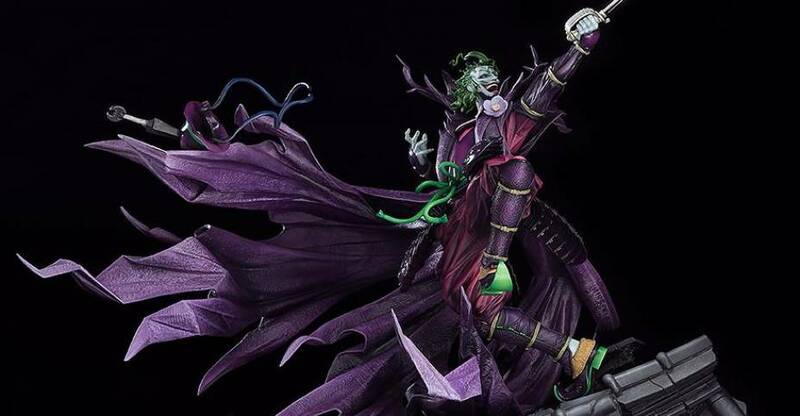 Good Smile Company has posted pre-orders for their new Batman Ninja – Sengoku Joker 1/6 Scale Statue “Takashi Okazaki” Version. This is a companion piece to their Batman Ninja “Takashi Okazaki” Version 1/6 Scale Statue, which we reported on last June. The polystone statue stands over 17.5″ tall and is cast in a mix of polystone, PVC, and polyurethane. The rooftop display base is meant to work alongside the Batman statue. The Sengoku Joker Statue is scheduled for release in October. It will be priced at 109,074 Yen (about $1,004 USD). You can see photos, details, and the pre-order listing after the jump. Pharah in her Raptora Mark VI Armor joins the Figma Overwatch line up. Good Smile Company has shared out photos and details for the new figure. Pharah stand just over 6″ tall and is fully articulated. Some of the joint areas use a more flexible plastic for greater range of motion. 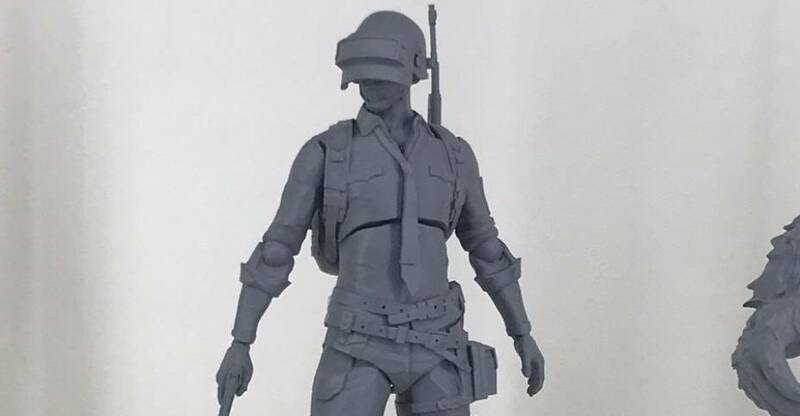 The upcoming figure will include two head sculpts (one with a helmet and one without, multiple interchangeable hands, a rocket launcher, interchangeable shoulder pieces, and an articulated figure stand. Pre-orders have started to pop up online as well. These include Big Bad Toy Store and HobbyLink Japan. Pharah is scheduled for an October 2019 release. She is priced at $89.99 in the US, but Japanese retailers will be lower priced at around $72. Check out new photos and details after the jump. R-Type, one of the longest running and most popular side scrolling shooters, is getting an official collectible from Good Smile Company, as part of their Figma line up. 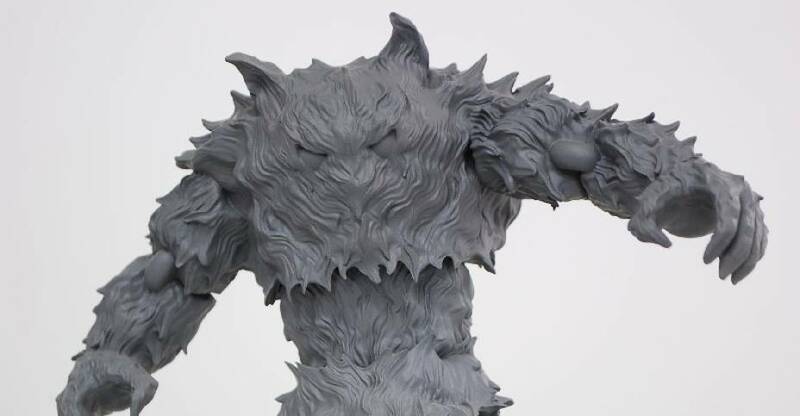 Originally revealed back at Wonder Fest Summer 2018, full details and official photos have finally been released. Dobkeratops is one of the most recognizable bosses from the R-Type series. In the original game, Dobkeratops is the first boss players face. For this release, you can fully recreate the boss fight, with the creature, effects pieces and the R-9 ship. Dobkeratops measure at over 10.5″ in length, and should stand about 7″ tall on the base. The set includes a display base, Dobkeratops, the R-9 ship, orbs, and a specialized backdrop dio piece. Solicitations are going out to U.S. retailers now. The set is due for release in August 2019 in Japan, and October 2019 in the U.S. The set will have an MSRP of $114.99 in the U.S. Check out official photos and details from Good Smile Company after the jump. 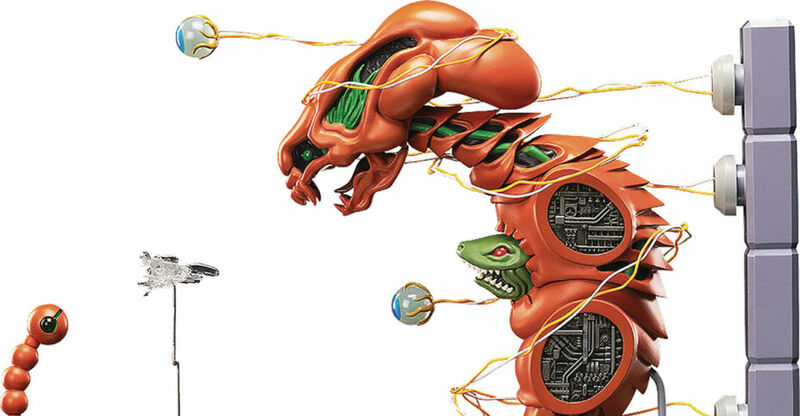 The classic shmup R-Type is getting an official collectibles courtesy of Good Smile Company. Originally revealed back at Wonder Fest Summer 2018, we finally have a full color look at the Figma R-Type – Dobkeratops. Long time fans of the side-scrolling shooter will instantly recognize the famed, and massive boss. Dobkeratops is the first boss players face in the original R-Type. The images come courtesy of Amiami Hobby News, with the figure on display at Miyazawa Model Autumn Exhibition 2018. According to the placard on display with the collectible, pricing and release date are still to be determined. See the images after the jump.